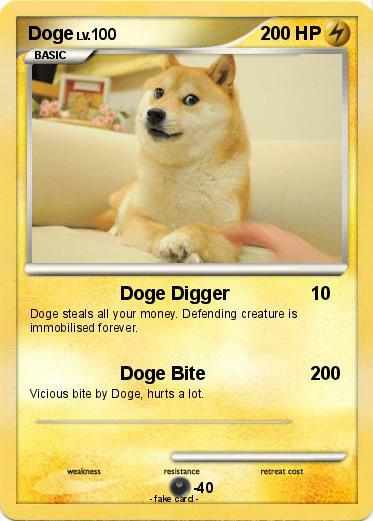 Doge steals all your money. Defending creature is immobilised forever. Vicious bite by Doge, hurts a lot.